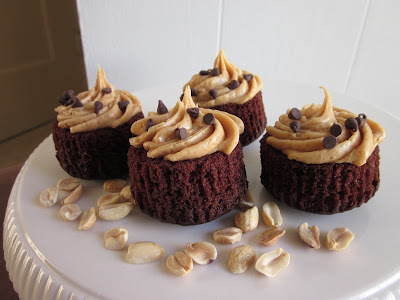 Rich, chocolate cupcakes topped with the silkiest, nuttiest peanut butter buttercream frosting that you've ever tasted. Top it off with some dry roasted peanuts -- crushed or whole -- maybe a couple of mini chocolate chips, a sprinkle of course sea salt if you're feeling adventurous, and you've got yourself a combination of sweet and salty that'll make your eyes roll back. They're that good, and I can't stop thinking about them. 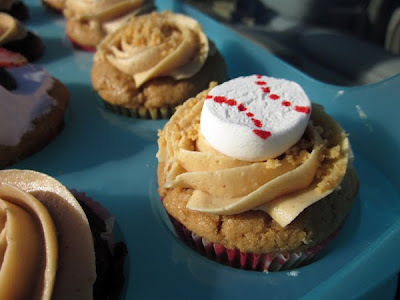 Did I mention that peanut butter also pairs beautifully with marshmallow and that it's baseball season? Here's a Peanut Batter Up cupcake with a triple peanut play: a marshmallow-filled peanut butter cupcake topped with peanut buttercream frosting, crushed peanuts, and a cute little marshmallow slice. Take this out to the ballgame and all eyes will be on you. 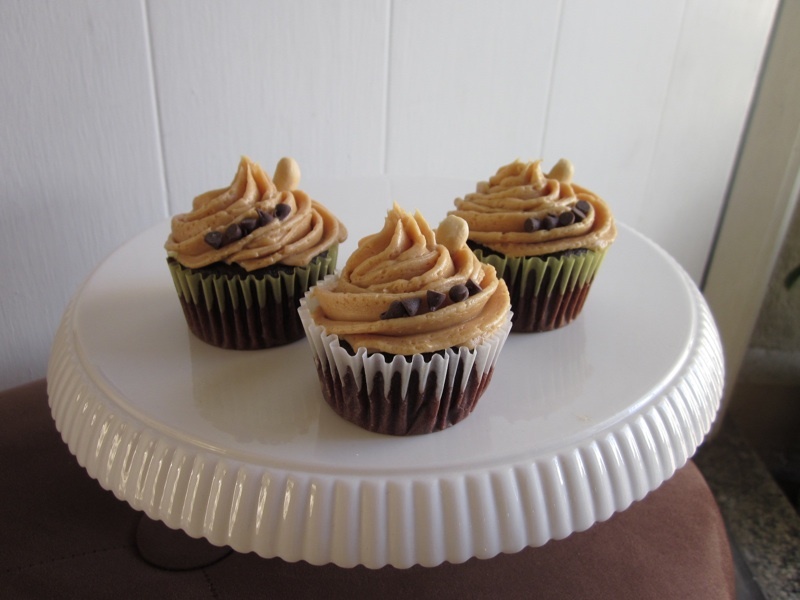 Cheers to all of the peanut butter fanatics out there! I'd love to hear about the craziest PB creation you've ever eaten. In the meantime, T just made the rookie mistake of turning her beautiful new Kitchenaid mixer on high too quickly, and is emerging from the cloud of powdered sugar with a suspicious-looking streak of the white stuff on her nose. That girl. Can't take her anywhere!